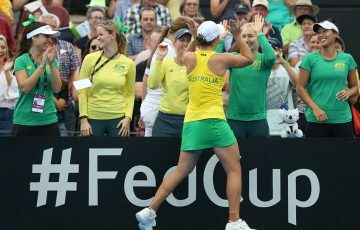 Australia will look beyond the disappointing scoreline to assess this weekend’s 4-0 first round Fed Cup loss to defending champions the Czech Republic. 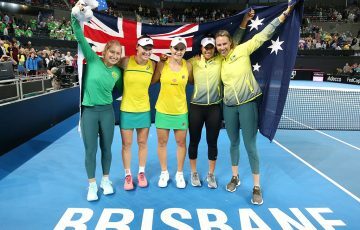 The Australian Fed Cup team will look at more than the disappointing score line to determine the success of this weekend’s 4-0 first round loss to the defending champions in the Czech Republic. With the team 2-0 down going into day two Sam Stosur put up a valiant effort against Petra Kvitova but was unable to continue the momentum that saw her take the first set 6-2. 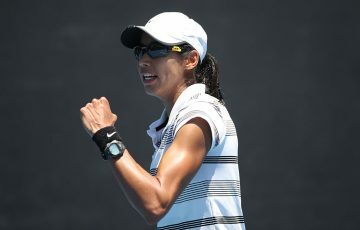 “I don’t think I did much wrong today,” Stosur said after the 2-6 7-6(3) 6-4 loss. “Petra played a very good match. In the second set I thought we were both playing very high quality and when it comes down to that, it was just a point here and a point there. “Sam really put herself in a winning position against by far the best Fed Cup player out there,” captain Alicia Molik said. 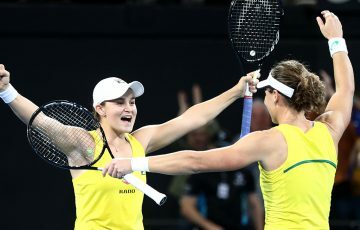 Australian Open doubles finalists Casey Dellacqua and 16-year-old Fed Cup debutante Ashleigh Barty teamed for the dead doubles rubber, going down 6-0 7-6(1) against one of the world’s strongest doubles teams Andrea Hlavackova and Lucie Hradecka. 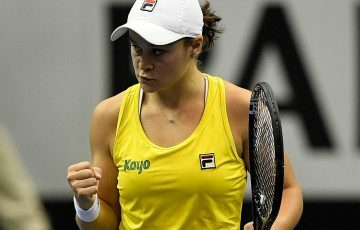 Molik had high praise for Barty, who showed maturity beyond her years to work with Dellacqua and change their tactics against a vastly more experienced team. “I think at times today the Czech team was left wondering what she was going to do because she can hit with spin and she can hit with a lot of power as well,” Molik said. “I think what helps Ash with her tennis is that she’s incredibly mentally mature. She plays tennis far beyond her years and she plays doubles like she’s been playing for the last 15 years. With the tie determined by the third singles rubber the second reverse singles between Jarmila Gajdosova and Lucie Safarova was not played. Australia now goes into the draw with other World Group first round losers and World Group II first round winners for the World Group Play-Off set for 20-21 April. Further details on Australia’s opponent and the venue for the tie will be updated later this week.